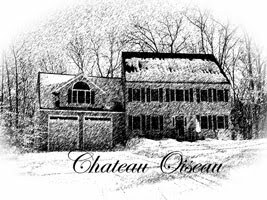 Chateau Oiseau: A visit to Le Clos Jordanne in Niagara! If someone asked you "where's the next big North American Pinot Noir hot spot going to be?" would you have a good guess? The NY finger lakes, coastal New England, British Columbia and many other places are experimenting with this temperamental grape. But my friend Pierre thinks one of the most exciting new regions is the Niagara Peninsula. 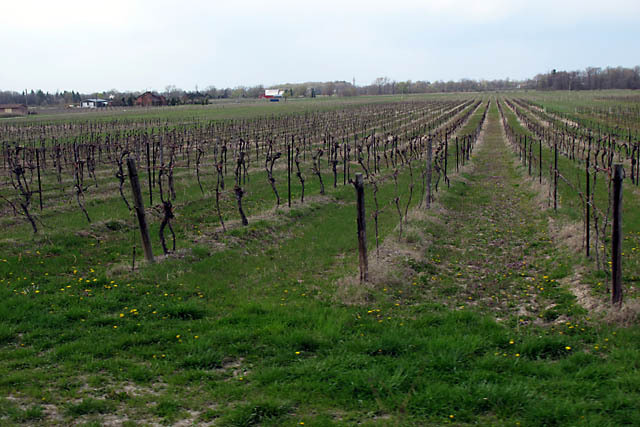 With the great lakes providing a moderating influence on both summer and winter temperatures, this region is blossoming with some amazing new wineries making world-class Chardonnay, Riesling and yes, Pinot Noir! As it happens, Christine and I were planning to take the kids to Niagara Falls for April school vacation this year. So of course I called Pierre Séguin (my wine guru pal) and asked him which winery to visit. He told me that the best Niagara pinot hands down is made by Le Clos Jordanne in Ontario under the guidance of winemaker Thomas Bachelder. So I gave Thomas a call and he agreed to give me a tour of the facility and vineyards one afternoon ("Anything for a friend of my friend Pierre!" he exclaimed.) 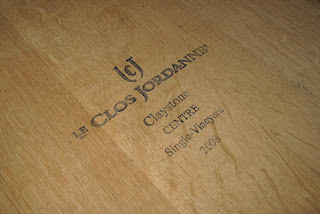 Le Clos Jordanne does not normally give tours as their new winery is not completed yet and they are operating for the time being out of an industrial building. Nonetheless, Christine and I showed up, with our kids and their portable DVD player in tow for a short tour. Thomas was having none of the quick tour! He suggested we throw the kids car seats in the back seat of his king cab pickup and took the whole family on a 4x4 adventure, touring the various fields of the vineyards. His enthusiasm for the terroir of the region and his eagerness to put the Niagara on the map in the way that Oregon and New Zealand now are was contagious. He repeatedly pointed out where things were on the map, then drove to them, pointing this way and that...explaining how two fields, only 200 yards apart, produced vastly different wines and were as such treated as separate cuvées from start to finish. 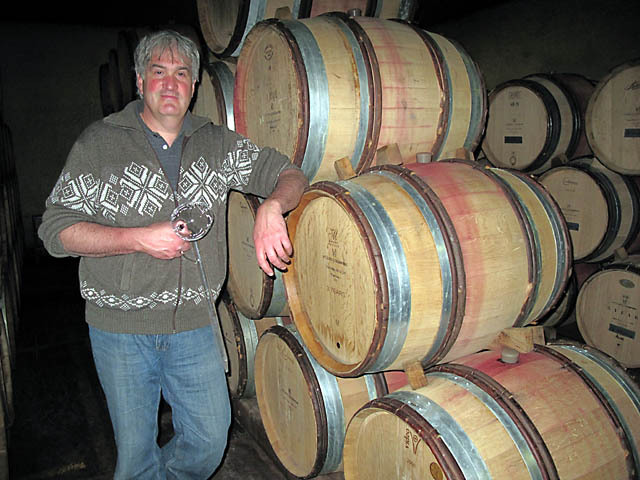 Bachelder is a huge devotee of the Burgundy style of pinot and goes as far as to use their model for the various cuvées of wine. They make a "village" wine from a mixture of grapes from all four vineyards, "premier crus" that are single vineyard cuvées (one from each of the four vineyards) and a "grand cru" (their best pinot) which is made from a special, prime section of the best vineyard. Their pinot noirs range from about $35 to over $100. Some people feel that they are making one of the very best pinot noirs in all of North America. After our tour of the vineyards, we headed back to the winery, set the kids up with a movie to watch in the office and headed out to the barrel room where the 2009 pinots are aging in various age barrels. 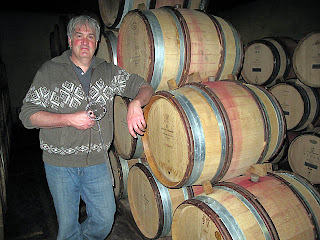 They use about 30% new oak (all French oak barrels made in Burgundy) and the rest are barrels that are used up to 4 times. Thomas pointed out that they are careful to keep records on how many times each barrel is used. So not only do they carefully control how many new barrels are used each year, but also how many one year old, two year old, three year old and four year old. Bachelder feels that the age of barrels in the right proportions carefully controls the evolution of the flavor of the final blend. (Not all old oak is the same. A barrel used 4 times is a lot different from one used only once). 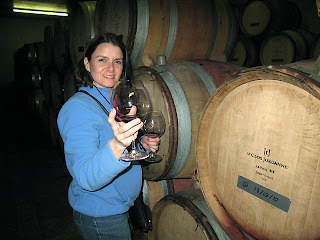 We tasted 6 pinots from the 2009 vintage and 6 Chardonnays, all from barrel. I'm not that experienced with tasting young wines, but the differences between the different cuvées were readily apparent. I liked the powerful tannins of the Claystone Terrace vineyard and the delicate finesse of the Clos Jordanne vineyard which is only 200 yards away from the former. After the tasting, we went to the Stone Road Grille nearby, known for it's wide selection of local wines and ordered up a bottle of 2006 Le Clos Jordanne to have with dinner. Wonderful. 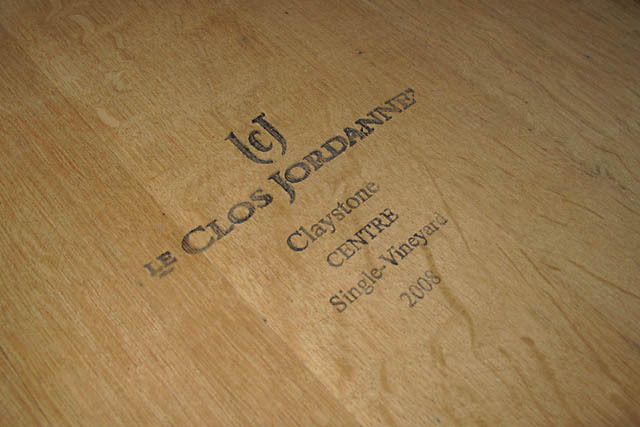 I think in the coming years you are going to be hearing more about Le Clos Jordanne and the Niagara peninsula in general as a pinot noir producer. Thanks Thomas for the incredible few hours!! I can only agree with your pal Pierre: Niagara is to be considered on par with the others great "Pinot Noir" regions like New Zealand and Oregon and Clos Jordanne wines are a must for any pinot noir aficionnados. 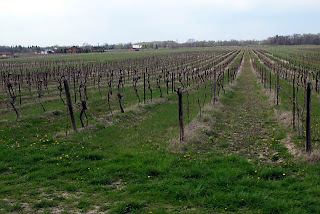 Great post-I am looking forward to trying Pinots from the Niagara Peninsula!